There are countless articles on saving energy at the moment and this has been something of a hot topic for the last few years. While this is important though, it’s also not the only way to ensure that you are running a tight ship, staying efficient to reduce bills and at the same time helping the planet. 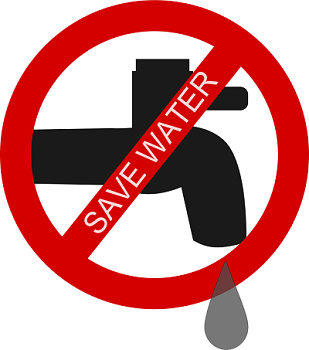 Just as important for instance is to save water around the home. Not only is water a highly important (and scarce) resource in its own right, but saving water will also equate to saving energy as you won’t be using quite so much heating and nor will the state have to work so hard to clean the water and pump it back into the home. So how do you go about saving money and thus do your bit/save cash at the same time? Read on and we’ll look at some of the best things you can do to ‘go blue’. One of the very best things you can do in order to save water is to start taking cold showers. This might sound like a rather masochistic thing to do, but actually it makes sense on a lot of levels. For starters, having cold showers is actually very good for you. This forces your body to work harder to pump blood around your body and protect the vital organs which makes it a great way to speed up your metabolism and thus actually burn some calories. Studies have shown that taking cold showers in the morning can lead to weight loss even when other factors like diet are accounted for. Cold showers also encourage mental discipline, they encourage the production of testosterone in men, and they increase noradrenaline which is why they’re so invigorating and good for focus. Best of all though? Cold showers will force you to wash more quickly, thus saving water! Something else you can do to save water is to share it between washes. This is easiest if you have children who are bathing: just leave the water in for your kids after you. Likewise you can also get the same benefit by sharing a shower with a partner – which can also help bring you closer together! This trick will save you water and energy. Next time you’re having a bath, fill the tub with the cold water first and then add the hot. This saves energy because the water won’t cool as the rest of the bath runs, and it saves water because you’ll lose less through evaporation. A lot of water and energy get wasted thanks to leaks in pipes, thanks to low pressure and thanks to clogged systems. Thus you can save a lot of water simply by making sure to get regular maintenance for your water tank or your well water systems. Don’t wait for something to go wrong: take the initiative and keep it all running as optimally as possible.